In this post you will learn how to hide your facebook friend list from your friends. By default your friend list is visible to everyone. Even if they are not your friends, they can see your friends, which is pretty much helpful though! but in some cases you might want to keep your friend list hidden. To hide your friends on facebook, do according to the following steps. 1. 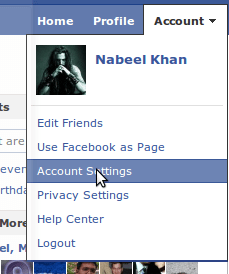 Login to your account which friends you want to be hidden on facebook. 4. On the connecting on facebook settings page, look for option saying See your friend list and change the settings in front of it by changing the value in the drop down to friends only or customize > me only to hide it from everyone. This way you will hide friends on facebook from not only everyone who is not in your friends list but also those who are in your friend list. To confirm the settings, either preview your profile in the settings window or check it from any of your friends profile.